A. J. Antico Co., Inc. Comment: Need to replace the Poppet & Bonnet on my irrigation system, as well as an outdoor faucet is leaking. Comment: Spring clean up of yard, front and back, including fenced dog area, within 2 weeks if possible. Thank you PS Mostly leaves, branch debris. Comment: Rake and remove debris from front and back yard and one side of the house. Comment: I am currently renting a home and would like the back yard cleaned up from this past winter. Comment: Clean up the front and back yard (about .3 acre in total). Also there are bold spots on the lawn that need repair (aeration&dethatching and reseeding). Nashua Lawn Care Services are rated 4.61 out of 5 based on 1,838 reviews of 22 pros. 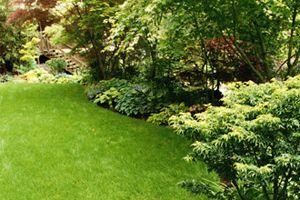 Not Looking for Lawn & Garden Care Contractors in Nashua, NH?